Gift cards make the perfect gift - letting the recipient choose exactly what they wish to purchase. Gift cards are valid online and in store for merchandise, training, grooming, PetSmart PetsHotel® and Doggie Day Camp. PetSmart Gift Cards make gift giving easy and are available in $10, $25, and $50 denominations. Best of all, gift cards do not expire and you can add money at any time - simply take your gift card to any PetSmart store to replenish it. This gift card is redeemable for PetSmart goods and services at PetSmart locations in the United States and at petsmart.com. Card may not be redeemed for certain goods and services; see store for details. Gift card is non-refundable, does not expire and has no fees. It is not redeemable for cash except where required by law. Visit a PetSmart location to add value to your gift card. PetSmart and its affiliates are not responsible for, and will not replace, lost, stolen or damaged cards. 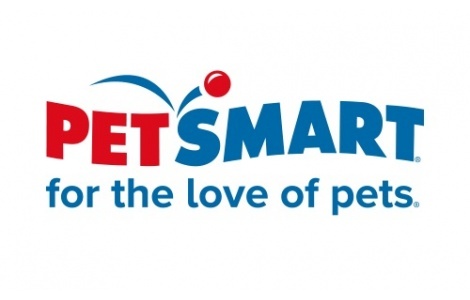 PetSmart may issue new cards for the unredeemed balance of a lost, stolen or damaged card upon receipt of adequate proof of purchase and card number. For balance inquiries, see any PetSmart sales associate or call 1-800-820-6189. For the PetSmart location nearest you, please visit petsmart.com or call 1-877-473-8762. For questions, call 1-800-820-6189. This gift card is issued by PetsCard LLC. • A Gift Card cannot be used to purchase another Gift Card. • If the amount of your Gift Card does NOT cover the total purchase amount, you will need to pay for the remainder of the purchase with a valid form of payment. • If the amount of your Gift Card is MORE than the total order amount, the balance amount will be stored on your Gift Card account for future use. • Gift Cards are non-transferable, non-refundable and are not redeemable for cash, except where required by law. • We cannot replace lost or stolen Gift Cards. • When making a purchase online at petsmart.com, you may redeem up to 3 Gift Cards per order. • No sales tax is charged when buying Gift Cards. However, products with a Gift Card will be charged applicable sales tax if shipped to the states indicated here. • If you have any additional questions, please contact our Customer Care Department.